Oyub Titiev in court on November 20, 2018. The court building is guarded by men with machine guns who carefully search all visitors and their IDs. Oyub Titiev is held in a metal cage, surrounded by guards. There are also bailiffs in the courtroom. One of them is holding a machine gun with a grenade launcher. - Is it possible to take pictures in the room? - Yes, you can. But make sure there are no people in uniform in the photos, or they can force you erase them, and it's in the best case. It is also desirable not to photograph the judge and the prosecutors. On November 19, Titiev’s defense lawyers came from Moscow: Pyotr Zaikin, Marina Dubrovina and Ilya Novikov. 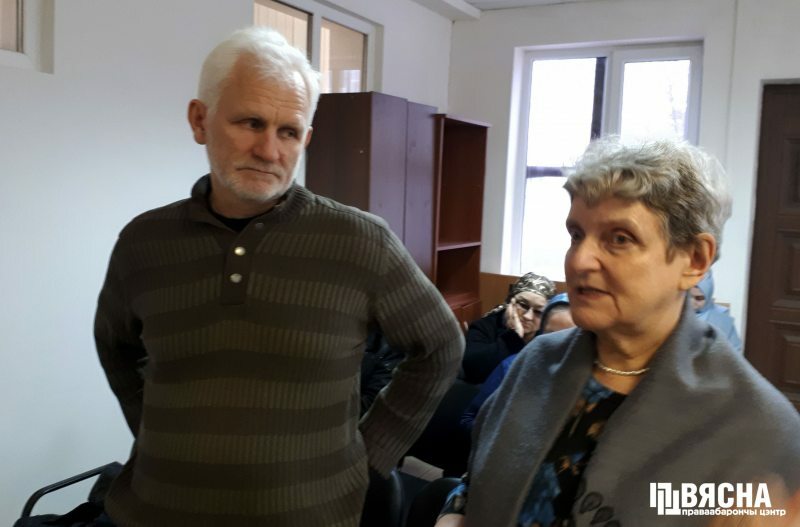 There are also Svetlana Gannushkina, chair of the Committee “Civil Assistance”, Nikolai Rybakov, deputy chairman of the Yabloko party, and a journalist of Novaya Gazeta Elena Milashina. On Monday, the hearing began with the examination of witnesses for the defense. These are Oyub’s fellow villagers, residents of the biggest Chechen village Kurchaloy. Oyub Titiev trial. Deputy chairman of the Yabloko party, Nikolai Rybakov, journalists Siarhei Sys (Belarus), Elena Milashina (Novaya Gazeta) and human rights activist Svetlana Gannushkina. Photo: HRC "Viasna"
Titiev’s neighbor, Ayshat Magomadova, says he is a respected man, he does sports, goes to the gym, helps others, he is strictly complied with the Muslim tradition, fasting and praying. She says that Oyub never consumed alcohol or smoked. Other witnesses questioned in court also do not believe the activist is guilty. 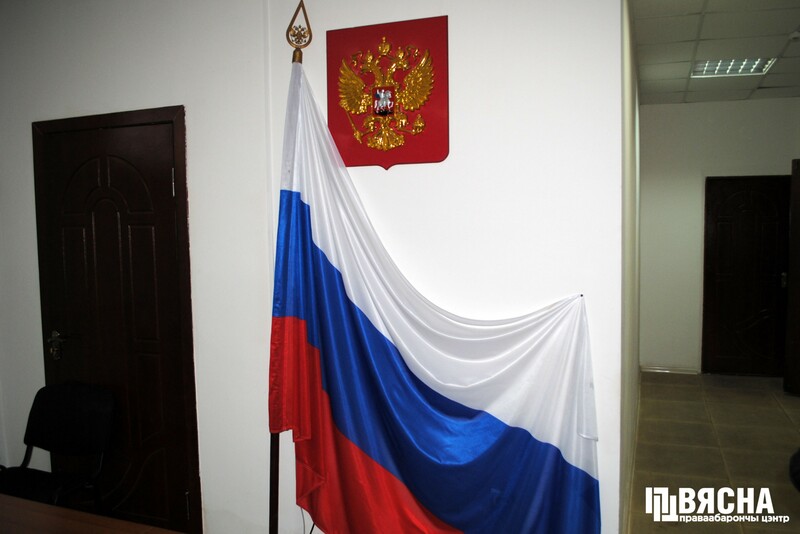 In the afternoon, the prosecutor started questioning Oyub Titiev. “To begin with, the story of how I joined Memorial. In the summer of 2001, there was an FSB mopping-up operation in Kurchaloy. Five residents were killed and hundreds injured. We were visited by representatives of the authorities, they spent an hour in the village and drove away. The following day, other people came and I helped them to collect information about the victims. Later, they became my colleagues. Natalia Estemirova was in that group. She was abducted and murdered in 2009. Later I was invited to work in Memorial’s office in Gudermes, and in 2011 I started working in Grozny as head of the branch. Over the seventeen years, there have been many threats from the security forces, on several occasions I had to leave the country,” says Titiev. The most important thing voiced during the trial is the severe control by the security forces over the activities of Memorial’s Grozny branch. The office was put under surveillance in the summer of 2017. In September, a car started keeping sentry outside, and Oyub noticed several times that the office was filmed through the window. At the same time, the parents and relatives of the missing young men who were allegedly killed by the security forces contacted Memorial for help. Oyub Titiev was the only person with whom the agreed to talk. Tension around the organization grew and Oyub realized that repression was near at hand. On the day of his arrest, Titiev was going tell his employees that each had to think about themselves, and they should probably leave. The work of Memorial in Chechnya and the investigation of the “case of 27” were suspended. On November 20, Oyub told the Belarusian human rights defenders that he was receiving many letters. Newspapers, however, never reach him, although the prison authorities claim the opposite. The cell is home to four people, inmates come and go. “I am the only one who’s staying here so long,” Oyub said. He has the opportunity to do sports, one of the cells has a crossbar. But the exercise yard is in fact a regular cell with a gridded ceiling. 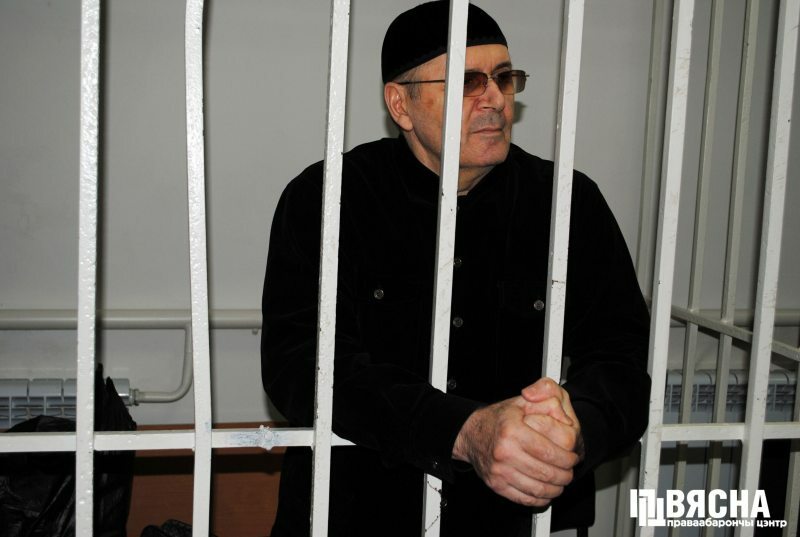 As the trial resumed, Oyub Titiev continued to answer the questions of his lawyers. He gave details of his life, about his help in rebuilding the mountain villages, the human rights work in Chechnya, about the numerous threats that rained down on him from all sides, and on security measures taken in the organization. He also recalled his letter to President Putin written on January 12, in which the human rights activist said that if he pleaded guilty, it would mean that he was forced to incriminate himself through a physical impact or blackmail. Oyub said that he is a man of deep faith, and drugs and alcohol are forbidden by Islam. “Drugs and alcohol are the same thing, it is evil,” he stressed. In the afternoon, the lawyers announced a request to release Oyub. The guarantor was Svetlana Gannushkina, who is expected to be joined by Yabloko leader Grigory Yavlinsky. 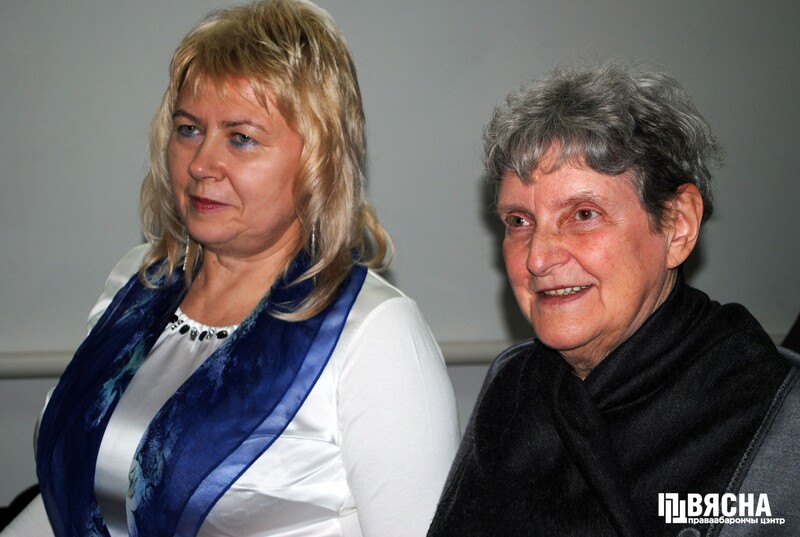 Svetlana said that she met Titiev in 2001, worked with him in the Committee “Civil Assistance” and in Memorial. “Oyub is a reliable, honest man, as they say in Chechnya, a real man,” she said. Next Svetlana Gannushkina told about the project of assistance to residents of Chechnya who are serving sentences outside the country, that Oyub was a part in this project. In addition, Gannushkina said that Titiev left Russia when there was a threat to his life and could have stayed abroad, but did not do so. “He is not going to leave, it’s his job, he will come to the court and finish this work,” Svetlana Gannushkina said. Supporting the petition, lawyer Pyotr Zaikin said that since the case file is in court, and all the witnesses have been questioned, the prosecution’s claim of putting pressure on them is now outdated. Lawyer Ilya Novikov added that all previous decisions to detain Oyub were administered and renewed on the same legal grounds. Now circumstances have changed and the defense is waiting for a new rationale. 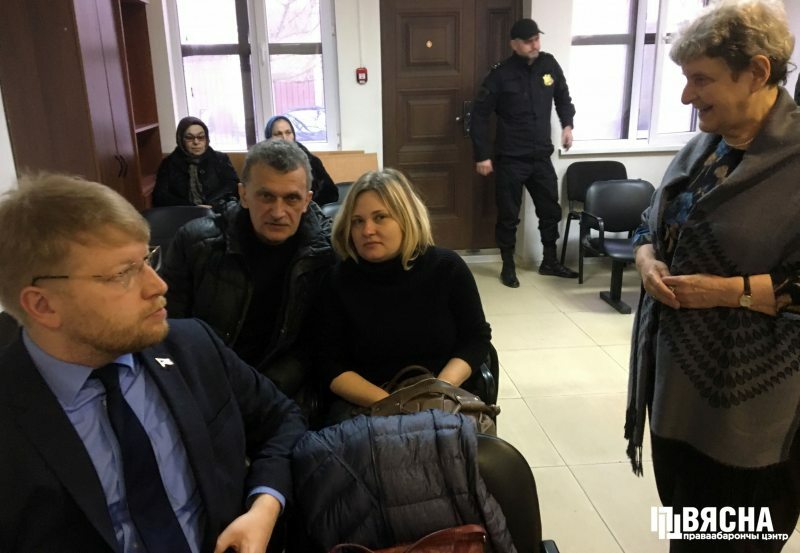 Earlier, the court twice refused bail for Titiev, first to former presidential candidates Grigory Yavlinsky and Ksenia Sobchak, and later to Svetlana Gannushkina and hero of Russia, pilot Sergey Nefedov. As a result, both prosecutors asked the court for time to prepare an assessment of these views and take a decision on the request. The court adjourned the hearing until next Monday.